I do know a lot about ALDI—and I also know there are still a few misconceptions AND a whole lot of cool stuff that people may not have heard about yet. 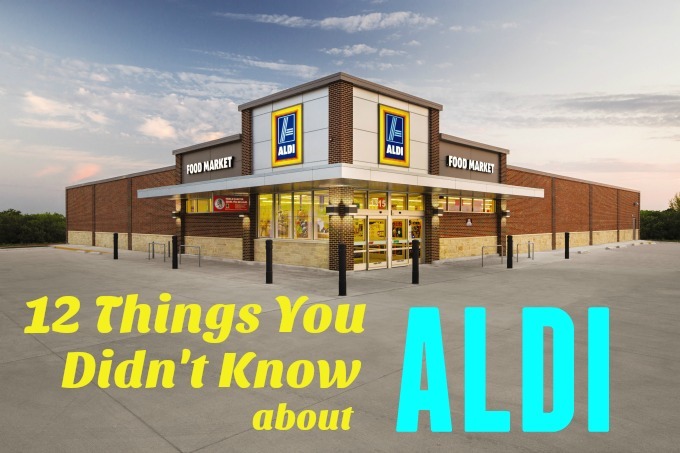 So, get the scoop below on what to know about ALDI. And scroll down for a GIVEAWAY of $50 worth of ALDI gift certificates! 1. ALDI accepts credit cards. This is MAJOR, people. It used to be that ALDI only accepted cash, debit cards, and EBT. But now, you can use credit cards including VISA, MasterCard, and American Express. Rejoice! 2. ALDI has loads of organics. You don’t have to bust your budget to buy organic food. ALDI has an ever-growing number of organic items, including organic milk, apples, salad greens, frozen berries, peanut butter, coffee, granola, spices, wildflower honey, coconut oil…and I could go on. They even sell USDA choice organic grass-fed ground beef! 3. ALDI has nixed artificial colors. All of the ALDI-exclusive brands are now free of certified synthetic colors (yay!). Plus, they’ve eliminated added MSG and partially hydrogenated oils, too. These are ingredients a lot of shoppers (like myself) are avoiding, so it’s nice to know I don’t have to scour ingredient lists for them at ALDI. 4. ALDI has free carts. Yes, you have to pay a quarter to get access to a cart—but you get that quarter back when you return the cart. This move saves you money because it means they’re not paying employees to fetch carts from the parking lots (or spending money replacing carts that go missing). I’ve also seen more than a few folks pass along their cart when they’re finished shopping to arriving customers, and refuse a quarter in return, which always warms my heart. 5. ALDI sells baby formula. And diapers, wipes, baby wash, infant cereal, and organic baby food pouches, too! Their brand new Little Journey line includes nearly 50 necessities for babies and toddlers at the lowest possible prices. 6. ALDI has grocery bags. No reason to panic if you forget your reusable bags at home. Though ALDI encourages customers to bring their own bags (it cuts down on costs and is friendlier to the environment), ALDI does have paper, plastic, and reusable bags you can buy at the register. Or you can simply grab an empty box from the shelves and pack up your groceries that way. 7. ALDI stocks some name brands. More than 90 percent of the products on shelves are ALDI-exclusive brands. But you’ll also find some name-brand stuff too—and it’s always fun to see what products appear each week. I’ve nabbed everything from Ghirardelli brownie mix to Kerrygold butter (at great prices of course). 8. ALDI sells beer & wine. ALDI carries a selection of craft and imported beers. Plus, they have red, white and sparkling wines that have racked up some prestigious awards. Check the ALDI store locator to see if your store, or a store near you, carries wine and beer. 9. ALDI has a whole line of gluten-free products. 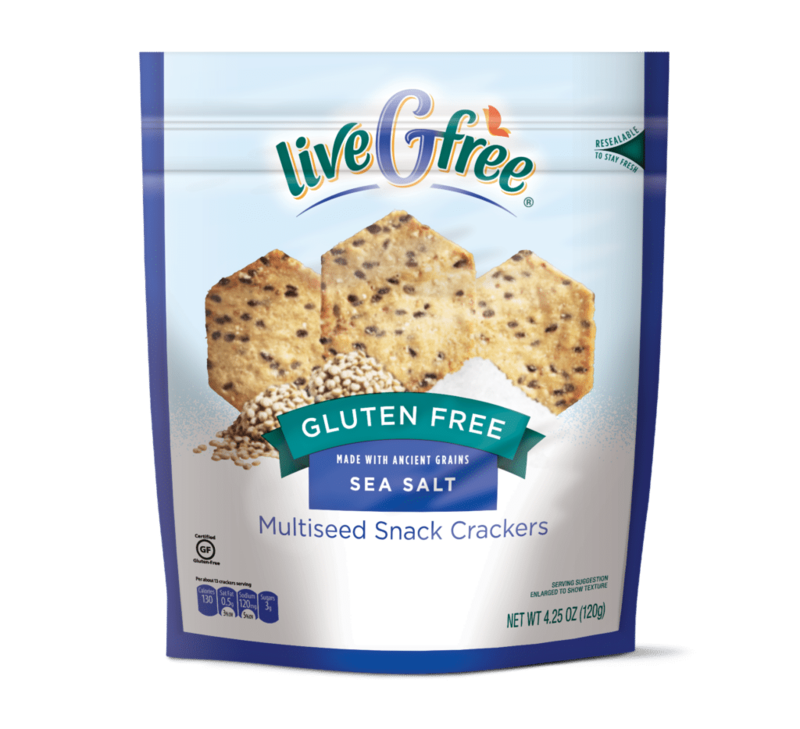 If you’re eating gluten-free, check out their liveGfree line of products, which includes pasta, pretzels, crackers, baking mixes, bread and cookies– all free of gluten. See what’s in their gluten-free line here. 10. ALDI has faster checkouts. Even I didn’t know this one until recently. I’ve always been amazed by how quickly the cashiers at ALDI can scan the products—and now I know why: The ALDI products have multiple barcodes on them, so they’re easier to scan. How smart is that? 11. ALDI carries Non-GMO Project Certified foods. The ALDI SimplyNature line is all organic or Non-GMO Project Certified and is free of artificial ingredients and preservatives. The Non-GMO Project ensures verification and labeling for non-GMO (genetically modified organism) foods. If eating GMO-free is important to you, look for the Non-GMO Project Certified label on products. 12. ALDI carries fancy food. Obviously you can get all the basics at ALDI, but you can also buy smoked Gouda cheese, premium ice cream, jumbo scallops and garlic stuffed olives. Their Specially Selected line was made with the foodie in mind. So if you need to stock up on something special for a party—or you simply like the finer things in life—you’ll find what you need at ALDI. Don’t have a favorite yet but looking forward to finding one at our new Aldi soon! I am a big fan of the goat cheese, dried fruit, and produce! The frozen shrimp and baby back ribs are excellent as well! be hiding in other Aldi products as well. So many things I love to buy from Aldi’s. Nuts, cheese, chips. I like to try the specialty items too. the produce at our aldi is always PERFECT. and at such cheap prices!! My favorite Aldi buy is (are?) avocados! Also love whatever other organic produce they have in stock! As bad as this sounds, chips… yes, chips! We just started shopping at Aldi over the summer, so I think we’re still trying things out. So far we’ve loved the chicken nuggest that come in safari shapes, because my son’s nickname is rhino. 🙂 The healthy snacks and super cheap olive oil have also been fantastic so far! Winking Owl wine. It’s really good and only $3.99 a bottle! We love to buy lots of fruit! Nuts and cheese! But there are so many other items, too! I love their crisp green pea snacks! They’re baked and I send them in my kids lunch boxes and my 1 y.o. loves them too! My favorite ALDI products are organic cheese, milk, eggs and organic grass-fed ground beef! Love the nuts and producce. My fave is the apple cinnamon muffin mix. I’m not usually a fan of mixes preferring to go from scratch but with 3 littles including a newborn it’s nice to be able to bake something quick for breakfast. I enjoy the fresh and great deals on produce! But there are so many great deals! Their whole milk is always the cheapest year round which is great for my toddler. Recently just started trying their diapers as well! I have shopped there for nuts, dried fruit, and other trail mix items. Oh and some veggies! It’s hard to pick just one but lately it’s been the sprouted grain bread. I’ve never been but hope to go soon, sounds like there is lots of yummy stuff my family would like. Pretzel buns! They are a special buy, so I stock up and freeze. I tried to go last week because it’s near the babysitters house but they don’t open until 9am. Your recent posts have got me interested in going back for the first time in a long time. I love everything at Aldi’s! And I do mean everything!! I’ve been a regular since they came to Texas. I’m from Illinois where there have been Aldi stores for years . I’m so happy that I can shop there again and save money! I tell all of my friends about the prices and quality of Aldi products. I love to buy whole wheat bread. Such a good bargain and tasty too! Fresh fruit!!! It’s so much cheaper than other stores!! I have a lot of staples I buy from Aldi including, baked chips, almond milk, fair trade coffee, trail mix, and loving their new “never any” meat line! I almost always leave with a fresh pineapple, too! I would love to revisit the new Aldi by me. I did not have a good experience the first visit. Their produce! Such great prices! I love so many things at Aldi, but my favorite so far is the boxed granola and cereal. It’s so much cheaper than other places and we’ve found that we actually prefer the taste over the more expensive name brands. Quinoa and the block parmeasan cheese that costs a fortune at other grocers. Take and bake pizza, great deal for a quick dinner. I have to pick one?! Hmmm…I’m going to say their cheeses! They have so many varieties! We especially love the garlic & herb goat cheese! It’s hard to pick only one favorite…. Wisconsin extra sharp cheddar! We buy all our produce at Aldi for our growing family! Just getting to know Aldi, but their cheese section makes me smile and think yes, this is French. We go there to LOAD up on produce. I’ve never been less stingy with avocados! My favorite item to buy at Aldi is MILK! You can’t beat Aldi’s price on milk! I do also enjoy the new Flirty Bird wine! I think it’s a tie between the chocolate and the entire produce section. It’s so nice to be able to pop out on my break and grab some fruit or pick up some veggies for dinner! Before Aldi moved in, we didn’t have a grocery store anywhere near work, which was really frustrating. My favorite is their hummus. I don’t always have tahini on hand to make my own, especially at the rate that my son gobbles it down. Aldi’s hummus is great and cheap! I love Aldi!!! I am a fan of many of their products and love trying new things every week. I would say the product we live and buy weekly is their 4 cheese tortellini. My picky little eaters eat that up. Also love their specialty items. I love ALDI! Some of my favorite items include their 72% dark chocolate, frozen vegetables, organic grass fed beef, organic non GMO lightly salted popcorn, quinoa, fruit, raw walnuts, bell peppers, and Brussels sprouts! So many great items!! Sad to say I have never shopped at Aldi so I do not have a favorite item. We love Aldis hummus tray it’s a great price and has 4 flavors. So good! I love so many items at ALTI but one of my favorites are the fruit squeezies for my daughter! The bacon wrapped filets! So good and a great deal! Love their Maple syrup, cheeses and organic apple cider vinegar! One of my favorite is the Nature’s Nectar orange Juice. I like to get organic produce because I can afford it there. So many things! One favorite is the Choceur chocolate bars with hazelnuts. My European husband is particular about his chocolate, and he loves these! Fruit squeeze pouches! Great grab and go snack for the kids! I love Aldi and started going recently after reading your posts! I love their Simply Nature Pumpkin Seed tortilla chips with Little Salad Bar guacamole! So many favorites!! This week it was produce, ciabatta bread, granola and hummus. All time favorite: sea salt pita chips!!! Their bell peppers and a variety of snacks for the kids. My favorite items to buy are the locally grown lettuces, cheese, and hummus. Definitely the root vegetable chips for a treat! I have 4 items that are on my list every time i go to Aldis: fresh produce, cashew milk, cheese, cereal (rice squares or bran flakes) for homemade granola bars. My favorite is their basil pesto. The jar size is perfect and it’s super yummy. I love the Moser Roth dark chocolate! I have a little chunk every day after lunch. Everything! Milk, eggs, nuts, honey… I could go on and on. I love the guacamole, German dark chocolate, and blue corn tortilla chips! Thanks to all your Aldi posts, it is THE store we shop at now. A summer favorite find has been Shoreview lemon shandy beer. We did have a big disappointment today though -seeing they were carrying sunbutter now and going home and tasting how horrible it was. Way too salty! Have not shopped at an ALDI yet, but they are currently building one 10 minutes from my house! Looking forward to trying their natural and organic products. My favorite thing to buy is cheese! My favorites are the Choceur dark chocolate, variety of nuts for snacking, and freeze dried fruits! Organic milk for sure!! Way cheaper than the regular grocery store! 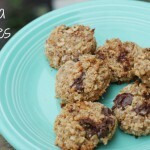 We LOVE the organic rolled oats and the quick cooking version as well. The texture of the oats is awesome. I LOVE that they always seem to have something new..keeps it exciting. I love their produce and seasonal raviolis! We love buying everything there…especially the sweet potato chips! I’ve never been to Aldi before so I don’t have a favorite…yet. After reading your post I’m excited to visit! Our favorite grocery item from Aldi are nut-free chocolate chips. All major brand chocolate chips are processed in a nut facility. I was so happy to finally find baking products at Aldi that are processed in nut-free facility. Other favorites are salmon, extra grain whole wheat bread,yogurt and obviously all the can food. I like their hazelnut chocolate bars. Lots of favs! Love Aldi. Organic milk, cheese, eggs, organic beef, fruit! I love Aldi!! My favorite area in the store is the cheese section. I also love to check out the limited time specials in the middle aisles. Love their Live Gfree line! My daughter has celiac disease and this line– especially the whole grain bread has been a lifesaver! I LOVE ALDI. It is amazing how I filled up a cart full of groceries for one week + and spent $88. I love that I was able to buy the baby food pouches to keep on hand. Love the produce, cheese, organic milk, local michigan eggs, etc etc. I also get my coconut oil. The individual packed trail mixes that are in the pink and blue boxes! We love their rosemary crackers! Produce! I always cringe when I have to buy my fruits and veggies somewhere else, knowing I am paying so much more than what I do at Aldi! My favorite item at Aldi’s is the chocolate they sell. So delicious and economical. I always joke I should be an aldi ambassador because I am constantly raving about it to my friends! My favorite thing there is randomly the cereal. My kids like their cereals better than name brands and they are way cheaper! As a fellow Nutritionist and Personal Chef, some of my favorite ALDI buys include uncured applewood smoked bacon, sweet potatoes, avocados, organic bananas, sprouted grain bread, uncured lunch meats, cheeses, organic canned goods (black beans, diced tomatoes, tomato sauce and paste), and the fit life rice and quinoa blends (for busy week nights and food prepping). Aside from food, I also LOVE their seasonal section and have gotten some awesome deals that I constantly receive compliments for! ALDI ROCKS! I love the produce, canned & frozen sections but most of all I love that I’m in & out in a flash not leaving the store 1-2 hours later like at some grocery stores!!!!! The prices I also love!!! Such a great bargain!!! We have many Aldi faves including fresh produce and fruit. I love Aldi! We get most of our groceries there. My current favorite product is the sea salt dark chocolate caramels. Mmmmmm! We are finally getting an Aldi in Newport News VA. My mother loves their canned beans! So many favorites! Almonds, cheese, produce…. I love the produce – we are eating more fruits and vegetables since the prices are so great. Also love the variety of cheeses and the chocolates! I just started going to Aldi two weeks ago and am a convert! I was thrilled to see they have my favorite cheese- Havarti – at half the price it’s sold for in the grocery store. Their crackers and cookies are also delicious. My favorite item at Aldi is the organic sliced cheese. Such a great price too! I love going to ALDI every Friday with a co-worker. I always go for the fruits and veggies because they are a higher quality than I can get at my local grocery store. My daughter loves it when I buy the no salt added peanuts so we can munch on them after lunch together. ALDI has played a huge role in lowering my grocery bill every week and has all the foods that I want to buy. I actually have a special order that I get every week from my local store and they call me when they don’t receive my order so I don’t have to make a special trip. I find the customer service to be the best around and would not shop any where else. I love the price and quality of the produce as well as the selection…never disappointed! Last time I was at ALDI I saw chocolate syrup for ice cream and couldn’t believe how inexpensive it was! I bought two because my son’s classroom was having an ice cream social and I loved that donating chocolate syrup that had a great price point and didn’t have the artificial colors was doing something good for the students and doing something good for my wallet. I am an Aldi fanatic so it is hard to choose. I most appreciate their brand of almond milk, unsweetened original. It is free of Carrageenan which is not always the case. Go Aldi! I love to buy snack for my kids at school and see what’s in new in the “random” aisle! I love Aldi!! Everything! Bananas, nuts, chia seeds, kefir, whole fat yogurt for the kiddo…. i just CANT GET ENOUGH OF ALDI! My favorite staples are PB, olive oil, hummus, and greek yogurt. I’ve decovered a honey goat cheese that is amazing! My favorite Aldi item is the gluten-free flour. You can’t beat the price and I feel good about baking healthy treats for my daughter. Eggs! They are so affordable at prices as low as $0.49/dozen!! I love that they are a dark orange color — not anemic like some other store brands. Plus, what a wonderful Scripture verse they include — take a peek inside the carton top cover!! As a Registered Dietitian Nutritionist, these are one of the top “real foods” that I recommend to my clients! Their gluten free pretzels and crackers are the best I’ve found anywhere, and at a fraction of the price of most stores. We love the Greek yogurt at Aldi–only $.65 each, and great healthy breakfast/snack! Hard to choose, but I will go with frozen berries for smoothies and real maple syrup. Just bought some guacamole, organic quinoa and organic garbanzo beans! I love the nitrate free lunch meat, fancy cheeses, and produce! Hard to pick just one favorite item at Aldi, but I would have to go with goat cheese. Such a great find at a great price! I love to buy fresh produce at ALDI. My husband’s favorite is the Chicken Gumbo Soup. Produce picks of the week are the bomb! I am a RD and always encourage my patients to shop Aldi’s Produce picks and plan their menus around what is on sale! They have the best prices and freshest produce around our neck of the woods. My favorite Aldi buys are the honey goat cheese log and any of the L’Oven Fresh bundt cakes! We’ve had the chocolate, coffee cake and they have a seasonal pumpkin one that I can’t wait for…I’ve served them with coffee on many occasions and everyone always loves them and wants to know where they’re from. Smoothie ingredients – unsweetened almond milk, organic baby spinach, bananas and natural, organic peanut butter! Haven’t been to an Aldi’s since we moved; but so excited 1 just opened up about 45min away. We are a going this weekend! So many items I love at Aldi! Nuts, chocolate chips, hummus, sharp white cheddar cheese, seasonal fruit and tons more! I love my Aldi store, and have been a regular for about 5 years. I love that I can fill a shopping cart with almost everything I need for a week for less than $60! The produce prices are amazing, and I can’t buy produce anywhere else now knowing it’s so much cheaper at Aldi for the same thing! My favorites are the organic items, Live G-Free gluten-free items (celiac here) and the Never Any items! I LOVE everything about Aldi! I’m especially grateful for their low milk prices! Organic greens and milk…great deals! lactose free 2% milk. It’s very popular in my store! Their produce is a must, and one of the main reasons I shop there. Their freshness and affordability make buying fresh produce there a reality. I’ve found the quality WAY BETTER than our local big-format chain that is currently claiming to “triple check so you don’t have to!” At Aldi’s you really don’t have to look hard to find great quality and freshness! I live the organic coconut oil!!! My toddler loves the Simply Nature Raspberry Strips! I always load up on organic popcorn! It’s my absolute favorite snack. We also love their frozen hash browns. Not the healthiest item we buy there, but we love making hash brown stacks for breakfast with an egg, cheese and veggies (preferably avocado) on top! Thanks for all the Aldi info you share. I can’t get enough Aldi! I love shopping at Aldi and truly think I spend 50% less shopping there vs other grocery stores. I have so many favorites, but my favorite would be the fancy cheese selection, especially at the holidays. I can create a beautiful cheese tray that would be so much more expensive elsewhere. Totally love the seasonal items and fancy cheeses – makes the after-kids-bedtime snack an adventure! We LOVE ALDI! I agree with others that it is hard to choose just one item. But I would have to say it is their milk because that was one of the main reasons we started shopping there in the first place. The other reason would be their good and cheap produce. Thanks for hosting this give away! i go there specifically for their sports waters and coffee drinks! I love shopping at Aldi for parties! My favorite Aldi brand item is their root vegetable chips! I am OBSESSED with ALDIs frozen Ahi Tuna! Quick and super fresh to enjoy! My family also loves their veggies straws! I like to buy anything from their Organic line because not only am I getting quality products, but at a price that is out of this world!!! Aldi is a weekly trip in our house and I love stocking up on things as well as seeing what new products they have. I’ve found goji berries, La Croix, Californa olive oil, and other products that are higher end at other grocery stores for far less money at Aldi. I love what they do for our community and that they have made such an effort to change their image and show they can play with the big stores. Yay Aldi! Their organic milk–by far the cheapest in town. And all the produce–love the mini cucumbers! I’ve never been to ALDI, but thanks to your post, I will definitely make it a must-try! Specially SelectedVanilla Ice Cream…mmm, mmm, mmm! We love Aldi’s Brie cheese! Milk, milk is always cheaper than other super markets. Of course their honey crunch ‘n oats cereal goes well with milk. I shop at Aldi every week so I basically buy everything there. Some of my must-buys at Aldi are nuts, coffee, salsa, pesto, and chips. The artisan lettuce is such a treat! We recently tried the English cheddar (it was a special buy) and soooo good! Organic grass fed beef!! And the organic and natural snack foods. So many favorites but I’ll stick to my daughters…organic whe milk vanilla yogurt and frozen raspberries. She blends together for breakfast on school days. As the mom of a busy toddler, I love the milk and fruit squeezes! I love the grapes that go on sale for $.75/lb.! My favorite product to buy at Aaldi is their organic milk. Or is is their maple syrup? No, it’s almond butter. It’s so hard to choose just one favorite! We really love the gluten free foods. We buy the gluten free bread and the fruit bars for our 2 kids allergic to wheat. We love lots of their other things too! I love trying out all of their GF snacks from their LiveGfree line. I love buying their almonds, and wild caught salmon. We make little pizzas with that Flat bread they have…I also once found the best lady fingers there! The take-and-bake thin crust pizzas! They are the best pizzas on the planet! produce and dairy! The prices knock the grocery store over. All their produce! So good! There are so many great products at Aldi, that it’s impossible to pick one favorite. I will pick my top three. Produce, any gluten free product and goat’s milk cheese. Their organic salsa is fantastic. I stock up every time I go to aldi. They have mild, medium and hot. I go with medium since the kids don’t like spicy. Love the organic dried beans and quinoa when they are in stock. Organic blue corn tortillas and their line of baked potato chips are great. The organic coconut oil is good for baking. They have good prices on nuts too. I love their organic spring mix. Organic coconut oil. It’s only 4.99 a jar!!! Great quality, great prices. I love the three flavored hummus pack! It has garlic, red pepper and original hummus, and at a great price! I love all the fruit selections and prices! I’ve even put together a cheese, meat, cracker, & wine gift basket together from there without spending a ton! Aldi has some quality stuff! Last month I found La Croix at ALDI, such a great deal! But my favorite regular items are feta cheese and their hummus. You can’t beat the prices! We love the organic milk and all the different snacks foods. We try something different each time we shop! I always buy the organic coffee k cups but I am obsessed with all of the ALDI finds! My favorites to buy there are their dark chocolate and their cheddar whales (aka Goldfish) for the kids lunches. And I love that their check out lanes are not brimming with candy. Making my first trip to Aldi today and I look forward to trying their organic produce! A favorite? That’s impossible to pick! I do love their black bean salsa, though. We love their cereals. Great taste, awesome prices. Fruit is my favorite from aldis! The great prices on produce are definitely my favorite, especially avocados. Fruit and vegetables and you can’t beat their prices for baking items, especially around the holidays! Allergy friendly foods! Nut-free chocolate chips (made in a nut-free facility), Gluten-free pretzels, and GF organic corn tortilla chips, fresh & frozen organic fruits and veggies. Spices are great, love ALL the produce and the creamy canned soups! Always fun to find out what seasonal items they have too! I always get my mini chocolate chips at Aldi’s! There are so many hard to chose one! I love winking owl wine, chocolate, and all the cheese. Fruits and vegetables! That’s almost all I buy when I go there! Roasted, unsalted almonds, walnuts, unsalted pistachios, dark chocolate and for a few weeks these bulk boxes of suet for my husbands suet bird feeder (cannot find anymore). Cheapest eggs in town! Also love the sunflower seeds, veggie straws and fresh produce. I shop Aldi for the produce. Aldi has great prices, and the produce is often tastier than what I can get from other area groceries! Love to stock up on nuts and spices here, and grab any organic items when they pop up. Like most kids, my children love those square, orange cheese crackers, so as a treat I occasionally pick up a box of their Savoritz version. They are truly the tastiest ones on the market. Trail mix! ALDI had their very own trail mix, it’s delicious and “cheap”. They even have different mixes. I like to buy school snacks at Aldi like chips and cookies and also cereal. So many great products, but my fridge is always stocked with their hummus! I like to buy frozen shrimp at Aldi…it’s a lot less expensive than at other grocery stores. I am loving the price for organic milk and only buy it from there. You can’t beat the price. Oh my … it’s hard to pick one but their grass fed ground beef is fantastic for burgers, tacos, meatball and so much more! It’s a fraction of the cost of other carriers. I love Aldi and with my family of five it’s a huge money saver. I love to buy their gluten free pretzel sticks! I also love their weekly produce deals! I love the great prices and friendly cashiers! My favorites are mini sweet peppers and Greek yogurt breakfast bars. And crackers!!!! Aldi is new to our area, so I’ve only been twice. Amazed by the great prices on produce, favorite so far is large avocados for 45 cents! I used to be so snobby about Aldi until one of my best friends opened my eyes! No more! I love so many products, their grass fed ground beef, organic sandwich bread, natural peanut butter with no sweenter or sugar, Parmesan cheese, produce… the list goes on & on! I don’t know if I could list just ONE item. I shop there often, for everything! Almond milk, eggs, fresh produce, and the list goes on and on! Love Aldi! One of my favorite little splurges is barbecue kettle chips! I love Aldi, and they just opened one RIGHT next to my office. So it’s also convenient for me 🙂 I admit there are some brands I like to buy from the regular grocery stores, (mostly toiletries), but I LOVE produce at Aldi. It’s always fresh, and the prices are simply the best. We get avocados, bagged spring mix, grape tomatoes, English cucumbers, red/orange/green/yellow peppers, bananas, berries… like.. everything!! We also prefer to get cheese (sliced/shredded/fancy! ), organic whole milk for my kiddo, and their little specialty meats/cheeses. I absolutely love ALDI’s goat cheese! 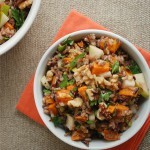 So yummy and great to add to an arugula salad. We buy 90% of our groceries at ALDI, but things that I always buy are organic hummus, cereal for the kids, and produce (especially sugar snap peas, oranges, and salad). LOVE ALDI! I Love ALDI!! They continue to impress me with their products. Their hummus and cheese selections are probably my favorites! My favorite thing to buy at Aldi: their trail mix. So many flavor combos and a snack that satisfies the kids AND adults! They have such amazing produce! And their tomatoe basil marinara is the best with no added sugar or preservatives. My favorites at aldi are anything fit and active also great baking supplies everything always a great price! I haven’t had a chance to stop at aldi yet (we just got one an hour away!) but this would be an amazing chance to finally get there! Italian cured meats! If they are in stock, I always grab one package each of prosciutto, capicolla, and sopressatta. I used to live near the Itlaian Market in Philadelphia, and am so happy that Aldi carries these goodies for such a good price. I love their fresh produce and gluten free bread. They also have the best seasonal foods! They have the best price on coconut oil. Through your articles, I’ve learned how great Aldi is for my family. I was admittedly nervous to go in the first few times. However, I’ve come to rely on their produce and milk for our growing family. The blueberries (even in winter!) have been awesome for our ravenous eaters! My favorite item – it’s hard to pick just one! I love that they have so many organic items and their prices do not break the bank. I would have to say I love that they have organic apples. And apple a day works for me and this is where we buy bags of them! We started shopping here about a year ago and have saved so much money. My kids even like the cereal and granola bars better than the name brands. Given how much two boys can eat, it’s definitely worth getting food at Aldi! We love Aldi! Our current favorite is DIAPERS. They’re half the price of the name brand ones we were using and just as good. We’ve even stopped buying overnight diapers since Aldi’s do the trick! I love their Greek yogurt, and pork short loins! I will be looking for some of the products you mentioned as I have not noticed many of the organics yet. Thanks! My favorite thing to buy at Aldi is eggs and snacks for my kids lunches! I love the prices! We just had an Aldi open here a few months ago and I am hooked!!!! 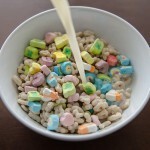 My kids love their cereal and I like that I can choose the kinds without artificial colors and flavors! I love all things Aldi, but especially love their consistent low price on eggs. What a great and delicious way to get protein. My kids could eat them every day. My fave staples to get at Aldi are unsweetened almond milk, unsalted nuts, and produce, produce, produce! The Live G Free bread is the best gluten free bread i have found. I love to shop at Aldi! I actually read a post on this blog prior to going my first time. I have so many Aldi staples, but my favorite I will share here is their coffee! I get their Fair Trade Certified dark roast coffee and it is less than $4 for a pound! And it’s fair trade certified! And it is absolutely delicious and I am a coffee snob! I hope you try it-you will love it! At my most recent trip to ALDI I found they had pasture raised chicken stock! I was so excited to see this! Love everything about Aldi, lobster tails, Gouda sliced cheese , weekly special buy and fruit…. I love buying fresh produce and cheese at Aldi! SEA SALT CARAMELS! And ALL the cheeses! I love to purchase all my baking ingredients from Aldi! Can’t beat the price and no one knows the difference! SALSA STYLE TOMATOES!!! They only come in a few times a year so I hoard them. Add 2 t cumin, 1/2 t onion and garlic powder, and 1/4t cayenne. Amazing salsa for chips. I also love the white cheddar cheese crackers. ALDI occasionally has a cereal called “Blueberry Crunch”. It’s like Cinnamon Toast Crunch, except with incredible real-blueberry flavor. I always keep my eye out for it; and when we can buy it, we do – to eat with milk as dessert after supper! I really like the produce and the gluten free products that they have. Love their organic string cheese! I will be honest I have never shopped at Aldi. However after reading your article I am planning my first trip in. Thank you. Baby products are great. No carts left in the parking lot make me happy. We buy all our groceries at Aldi. Especially love the produce section. I love the Simply Nature line of products. I also get the Little Journeys toddler formula- 12$! Can’t beat that!!!!! Just one item?? Hard to choose, but the family favorite is Aldi’s Appleton Farms “Never Any” uncured bacon. I have a houseful of bacon connoisseurs, and this brand is the hands-down winner. My family loves the shopping experience at ALDI also! We enjoy the apple almond granola cereals and are so grateful *(thank you, Aldi) for having the most affordable half gallon organic skim milk out of all the stores we shop at for groceries! We also love the fresh produce and frozen seafood!! I’ve been an Aldi customer for about 20 years now and I rave about it to everyone. Now my 3 kids shop there and they can’t believe the great prices and quality. Have you ever tried their chocolate syrup? Many other store brands of syrup just don’t cut it, but I think Aldi’s chocolate syrup is as good as Hershey’s, so that is one of my many favorite products. I didn’t realize ALDI had their own brand. After reading this post, I am definitely going to shop there. Love that their products are so natural with non GMO products and no artificial colors. I’m also going to let my sister know to check out their baby item selections. This is great! I love the many different products and specialty items! and the COST!!! I rarely leave the store without ciabatta rolls and 2 (yes, I must buy at least 2 at a time) bags of the multigrain tortilla chips. But there are so many other items I love. Great prices on coffee, canned goods, delicious cheeses, meat, etc. I love that it never takes long to shop there and the staff at my location is always friendly. We are getting an Aldi near us soon so I don’t have a favorite yet. Looking forward to the organic, Non GMO’s, grassfed beef and products with no artificial colors.